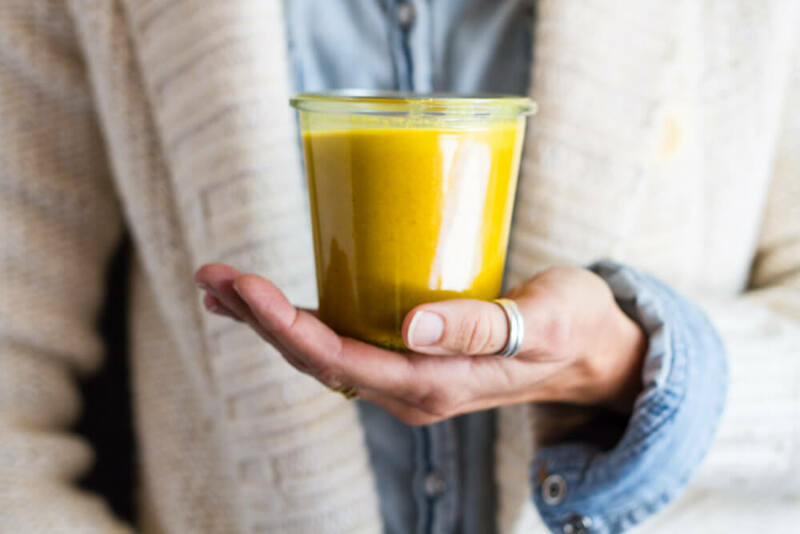 This creamy turmeric dressing is a simple and flavorful way to get more anti-inflammatory turmeric into your diet. Ok, guys, we all know that inflammation causes many of the health issues we see today. And there are a lot of things we can do on the daily to help reduce inflammation in our own lives: get good sleep,reduce toxins in our households, avoid inflammatory foods, and eat foods that help lower inflammation. I’m in a place on my own healing journey where I am really working on reducing the amount of inflammation in my body. I’ve learned that inflammation plays a huge role in many of the symptoms I have had throughout the years. And I’m on a mission to get my body not only healthy, but super vital. 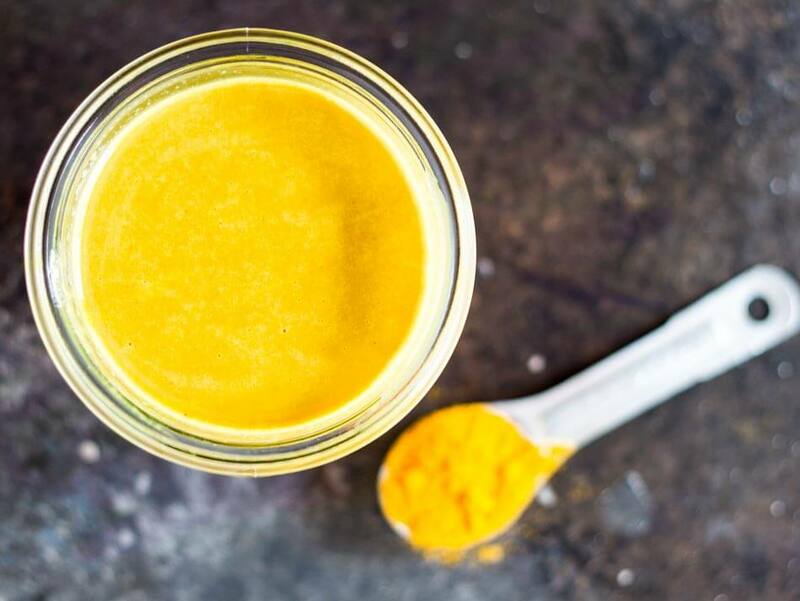 I’ve already used this versatile creamy turmeric dressing in a couple of my recipes, but I thought it deserved it’s very own blog post. Since condiments are EVERYTHING when it comes to healthy eating. And I eat this stuff all of the time. On so many things. Salads. Veggies. Eggs. Chicken. Fish. My family loves it with spring rolls. I love it drizzled over steamed greens. It’s especially good on roasted fall veggies like winter squash as turmeric has that earthy, rich flavor. So take that earthy flavor and combine it with creamy tahini, tangy lemon, and a subtle sweetness from honey. 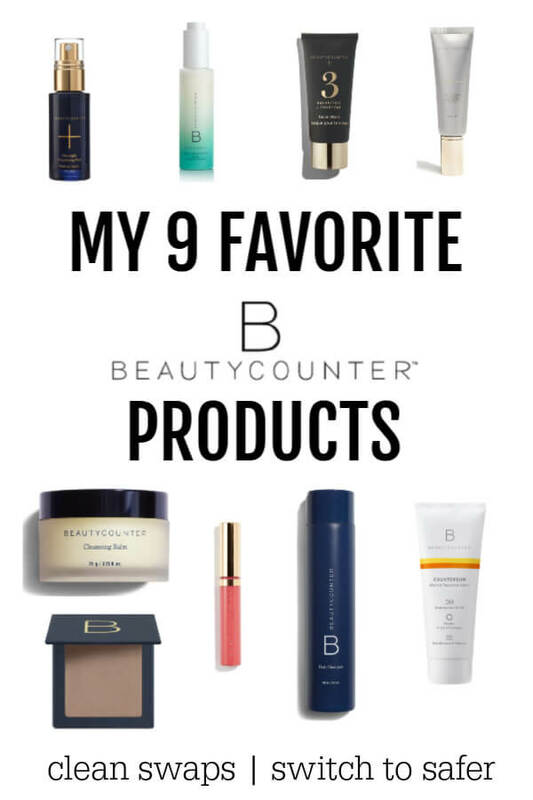 The flavors compliment each other perfectly. You’ll want to pour this stuff over all the things. P.S. Don’t forget to add the black pepper in this recipe as pepper makes the active ingredient in turmeric 2000% more bioavailable. I love fun facts like that! Whisk everything together in a small bowl until creamy smooth. Store in an air tight glass jar in fridge for up to 5 days. * I prefer the taste of toasted tahini. 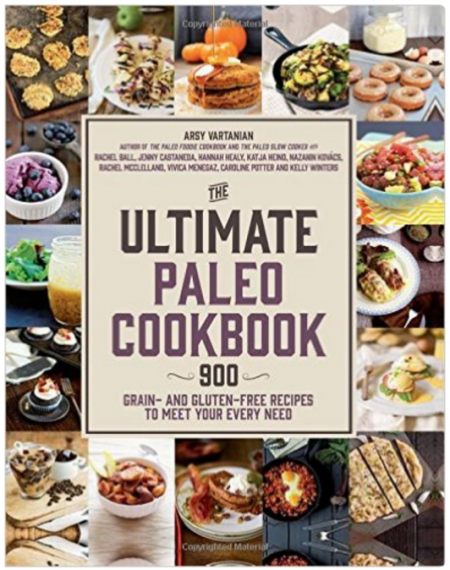 I find the flavor is better than using a raw tahini. ** If dressing thickens in fridge, simply whisk in a small amount of water to thin out to desired consistency. Love turmeric in everything! I haven’t tried in a dressing yet. This sounds delicious paired with the tahini! It really is so tasty! Hope you get to try it! I LOVE this dressing…and that tahini! Lovely, can’t wait to make it!! Pinning! I love tahini too. So creamy! Yes to the added pepper! So important and lots of people don’t know that. This looks beautiful and I’m sure it’s so delicious! Can’t wait to try it. This dressing sounds so delicious and I love its beautiful color! I try to add turmeric to my meals in any way I can because of its healthful properties so I’ll have to give this dressing a try for sure. How would I substitute fresh tumeric for powdered? I haven’t tried it with fresh turmeric yet. I would peel it and grate it. Also, I would do it in a blender so the turmeric gets totally incorporated into the dressing. Let me know if you try it. I would love to know. I’m terrible at getting turmeric in, but I think I would definitely love it with the tahini and over a salad! Thank you! Great idea! That color is calling my name! I’m all about anti-inflammatory foods too. This dressing looks amazing. You had me a turmeric but then I saw the tahini and ermagerd!!!!! I love everything about this dressing from that gorgeous golden color, to the beautiful photos! Sounds like a yummy and healthy dressing that will go with any salad! I am definitely trying this! There’s a restaurant in the last town that made a similar ‘goddess sauce.’ I think this will be even better! Thank you! I love turmeric ! It’s so good for you. Thanks for sharing this dressing I’m going to try it ! Hope you love it, ChihYu! 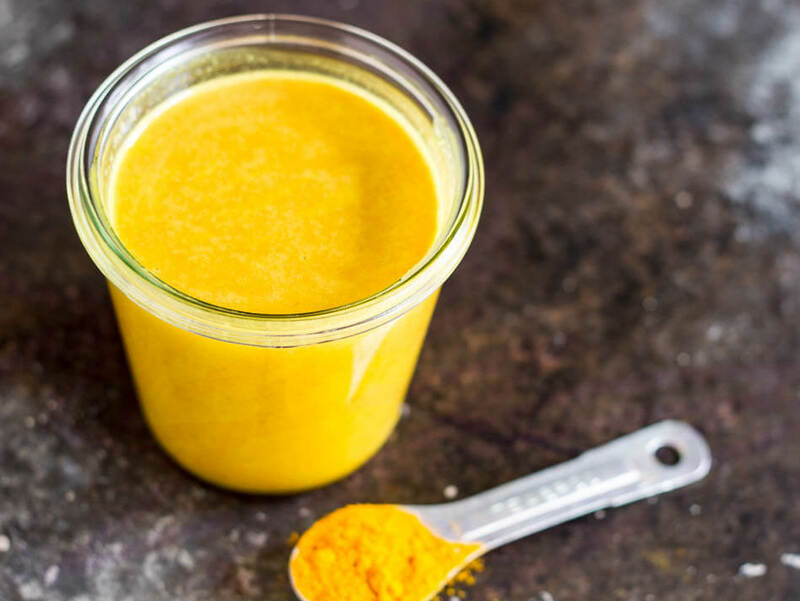 What a beautifully vibrant way to get more turmeric into your diet!! Golden milk is one of my favorite drinks! 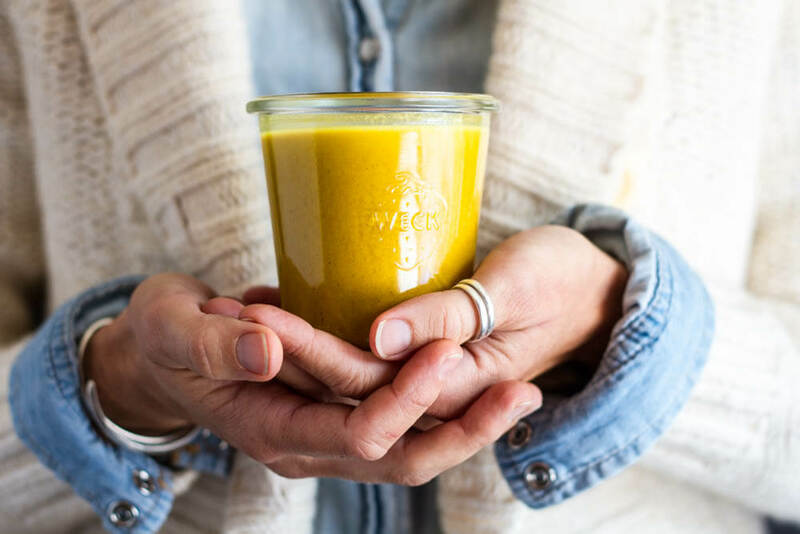 Great work on this post Katja, I feel really great that people started talking more about health benefits of turmeric because this is a fantastic herb!